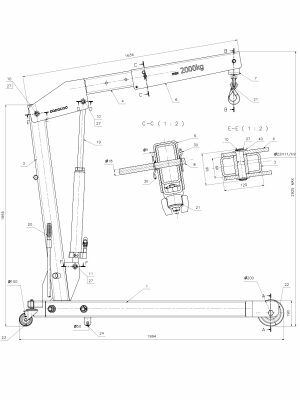 Complete project of foldable workshop crane – 3D and 2D CAD project. 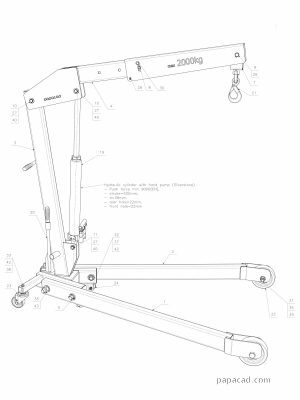 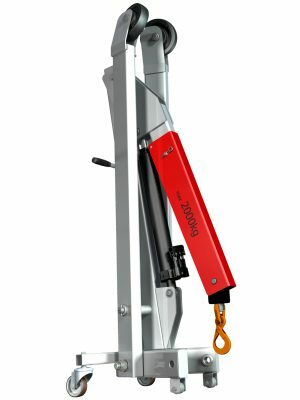 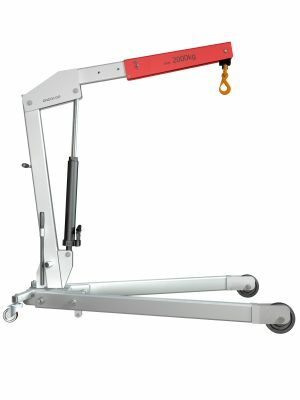 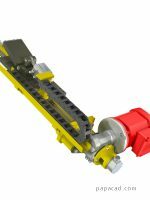 Ssmall workshop hydraulic crane with permisible load up to 2000[kg] (4410[lb]). 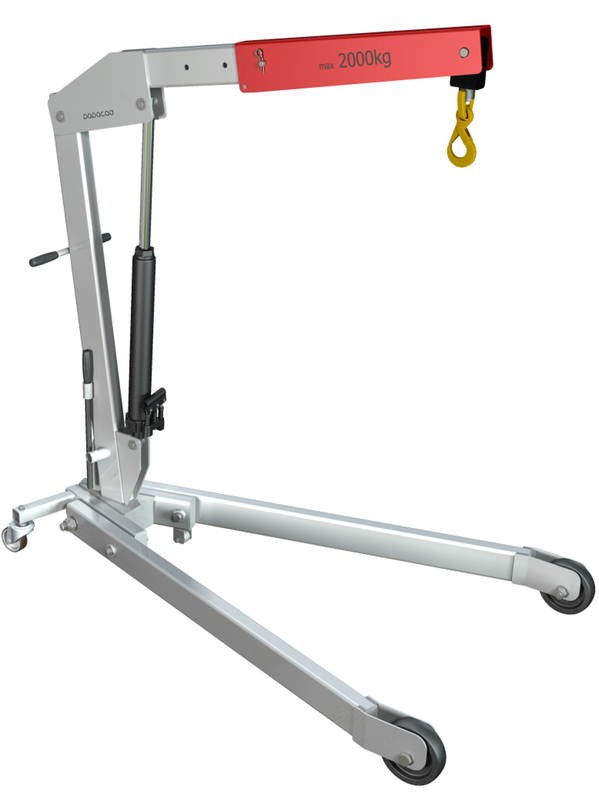 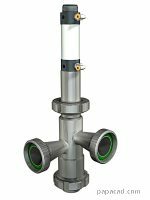 Construction based on steel frame, single hudraulic cylinder with hand pump. 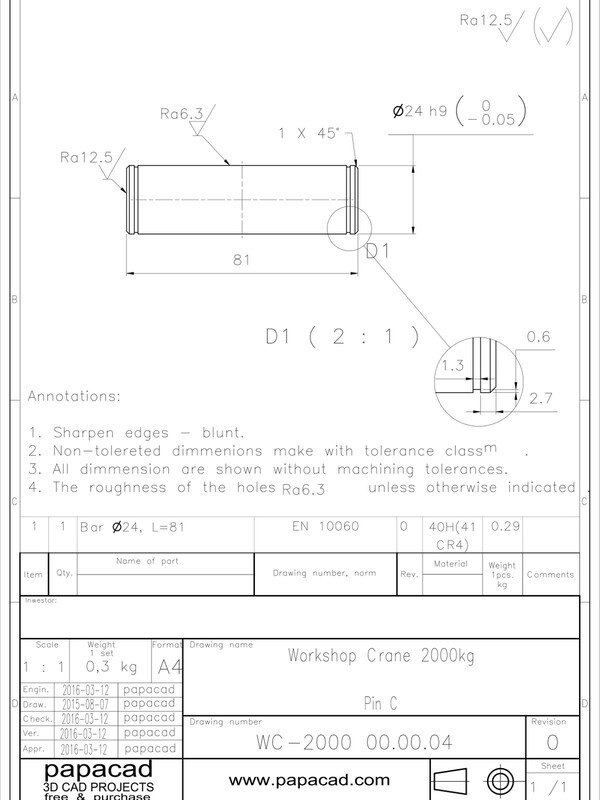 Piston diameter: ø63[mm], stroke: 650[mm]. 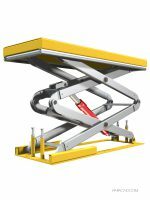 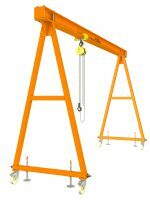 Workshop crane cane work with Barrel lifting clamp or Scissor sling lift. 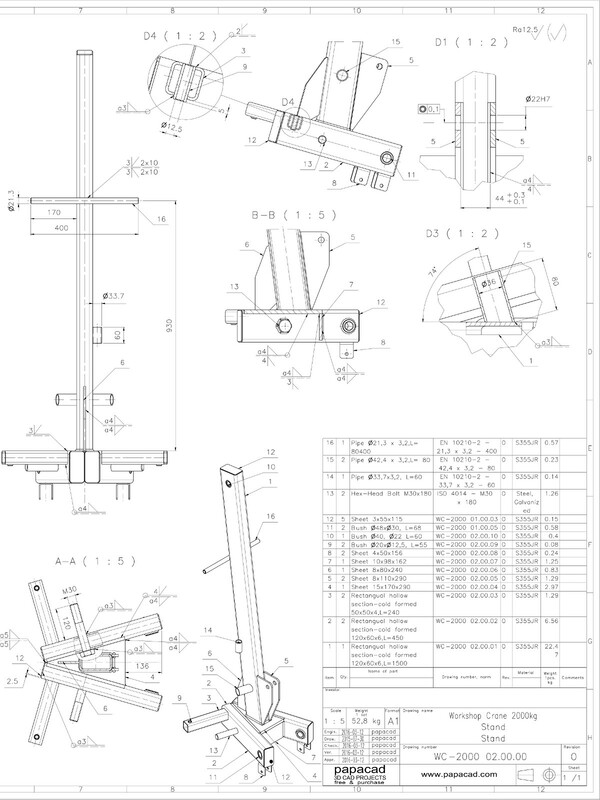 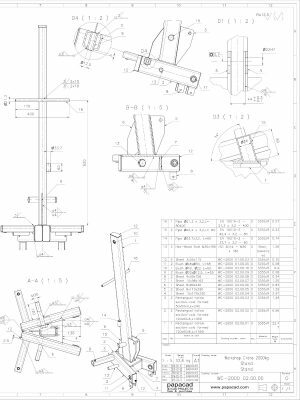 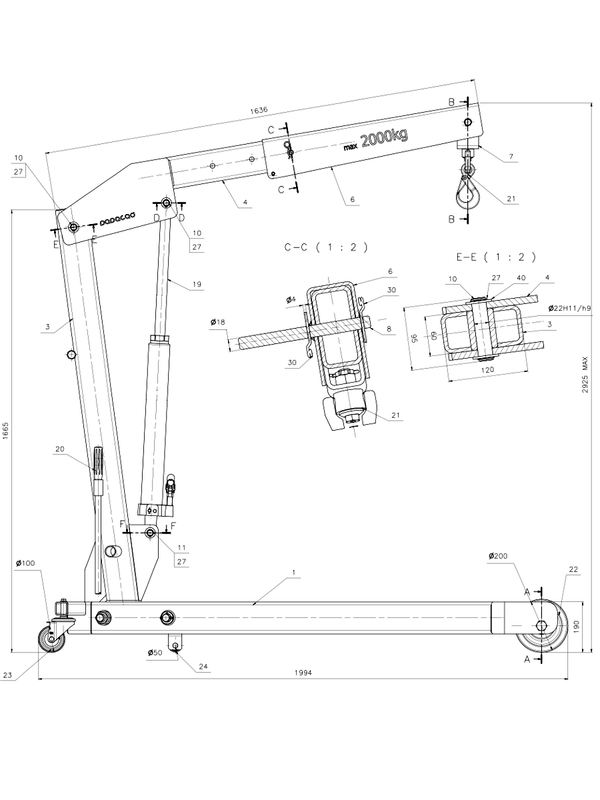 Most of all by downloading our 2D CAD documentation everyone can produce own copy of foldable hydraulic workshop crane. 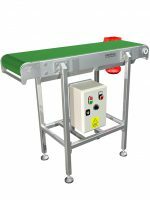 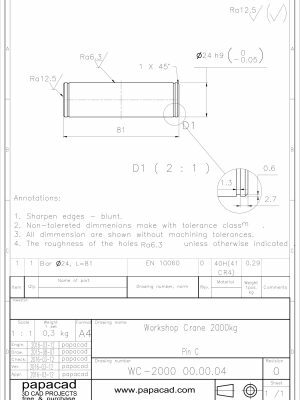 Due to dimensions, sizes, manufacturers and their codes given at the part lists shopping is easy. 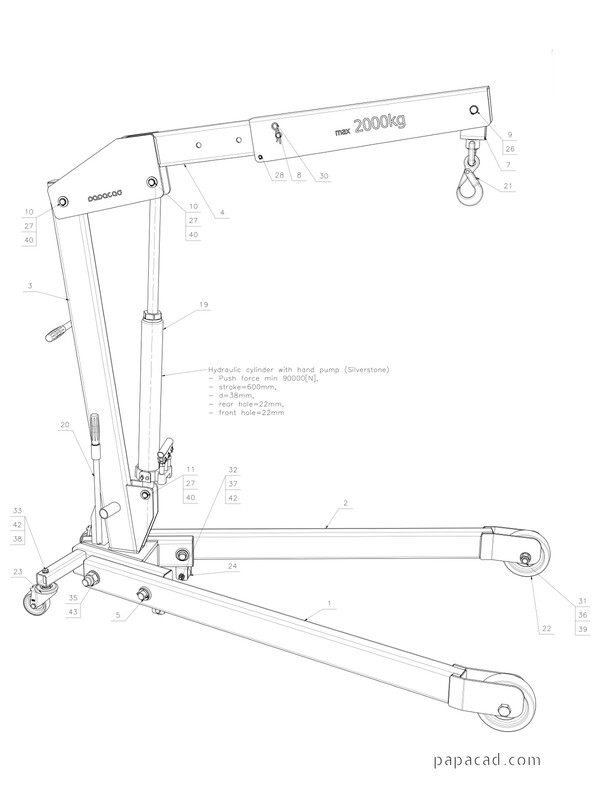 Download complete set of CAD documentation in format you need and DIY crane for small workshop.